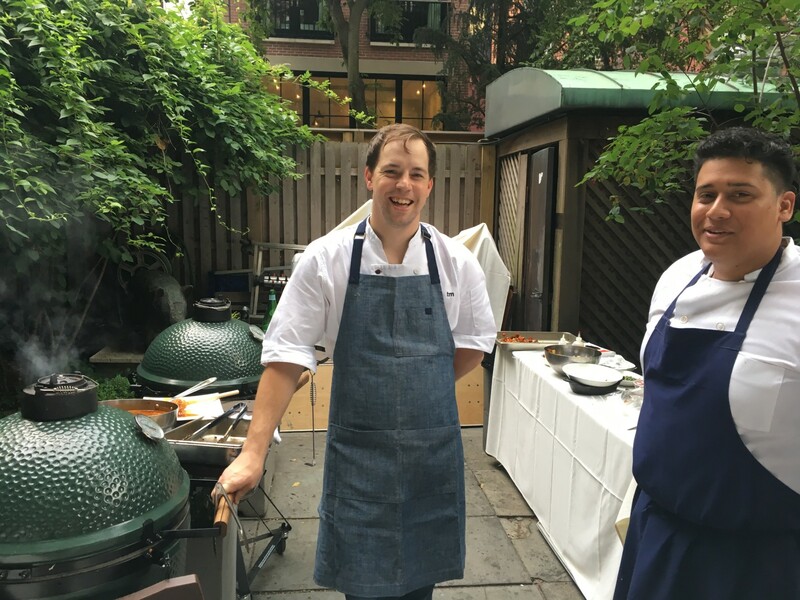 Chef Thomas Marlowe, making magic happen in a Big Green Egg. HRN On Tour headed over the East River to visit the James Beard House and to get our fingers dirty at the Southern Wing Showdown. Our recording studio that night was the breezy courtyard at Beard’s legendary residence. This walk-around feast was presented by Springer Mountain Farms and produced by Taste of Atlanta. Caity and Hannah got to chat with nine talented chefs visiting us from below the Mason-Dixon line, as well as Keith Schroeder of High Road Craft Ice Cream (which you can find at Whole Foods Market), and the night’s talented bartender, Greg Best, the owner of Ticonderoga Club in Atlanta. 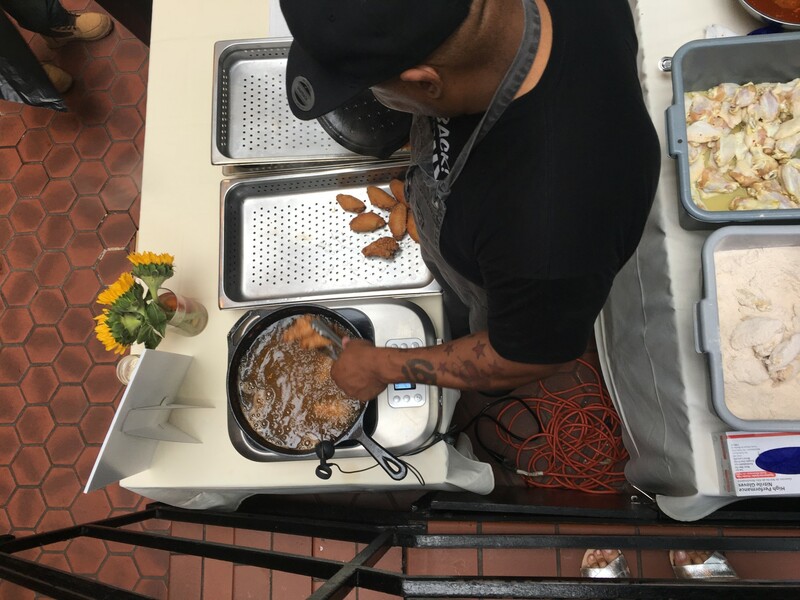 Last but not least, we were lucky enough to taste each chef’s interpretation of America’s favorite finger food: the chicken wing. Chef Todd Richards went the deep fried route. The night’s winning wing from Cotton & Rye in Savannah, GA! Here is the line-up of the chefs we down sat with along with their tasty, southern inspired dishes! 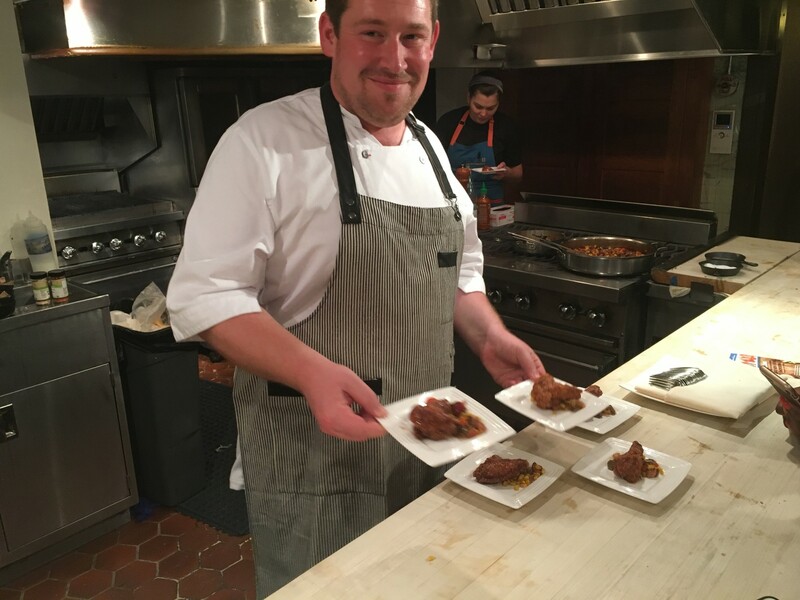 Daniel Doyle, managing chef partner of Poogan’s Porch in Charleston South Carolina. Thomas Marlow, Mimosa Grill’s executive chef from Charlotte North Carolina. Eric Fulkerson, executive chef at Bald Headed Bistro in Cleveland Tennessee. Brandon Whitestone and Zach Shultz, co-owners of Savannah Georgia’s Cotton and Rye. Savannah Sasser, Hampton & Hudson’s executive chef joining us from Atlanta, Georgia. Todd Richards, chef and owner of Richard’s Southern Fried in Atlanta’s Krog Street Market. Margot McCormick, the chef and owner of Nashville Tennessee’s Margot Cafe. 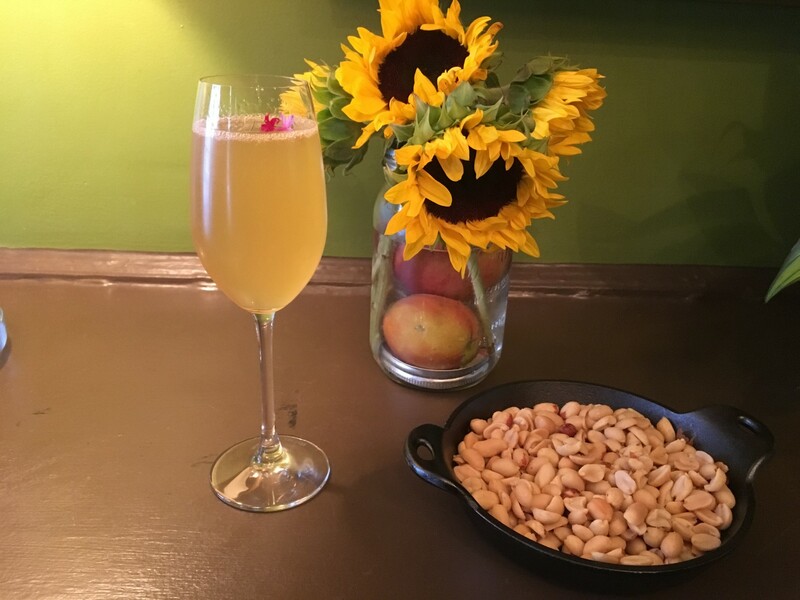 Greg Best is a cocktail master!